Siwang-Sinawang; Mt. Agung; Borneo Jungle; Hujan Chant; Jawa Warrior; Sore Kopi; Kampung Puisi. 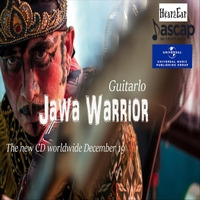 Recorded in Indonesia Jawa Warrior pays tribute to the '90s Ambient/World/Soundscape/Fusion music era.